← A taste of home! 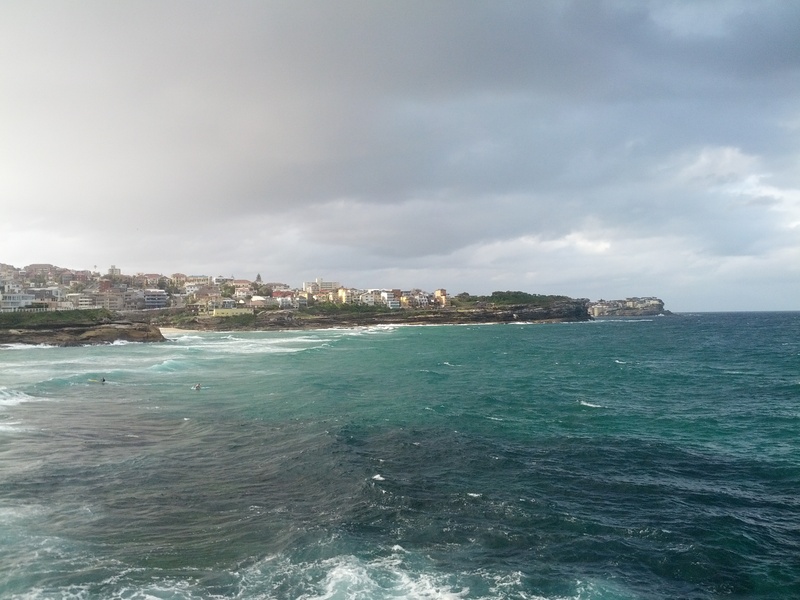 However Bondi isn’t only just a beach, it’s the start of a walkway leading along the coast and down to Coogee and back. The walk winds along the coast, often along the edge of cliffs and through various quieter coves. It’s a nice escape from Sydney city and suburbs and for a short time you can forget you live in a massive sprawling city. Looking back at Bondi beach. Winter Sydney is a lovely and mild climate, particularly on this overcast and windy day – definitely the best time of the year to go for walking adventures, especially if you’re a manly kiwi who doesn’t think 10 degrees is cold. For details about the walk, take a look at this site. I found it was easy enough to get the train to Bondi station and then walk to Bondi beach as a warmup instead of waiting around for a bus and it saves a few dollars on the trip cost as well. 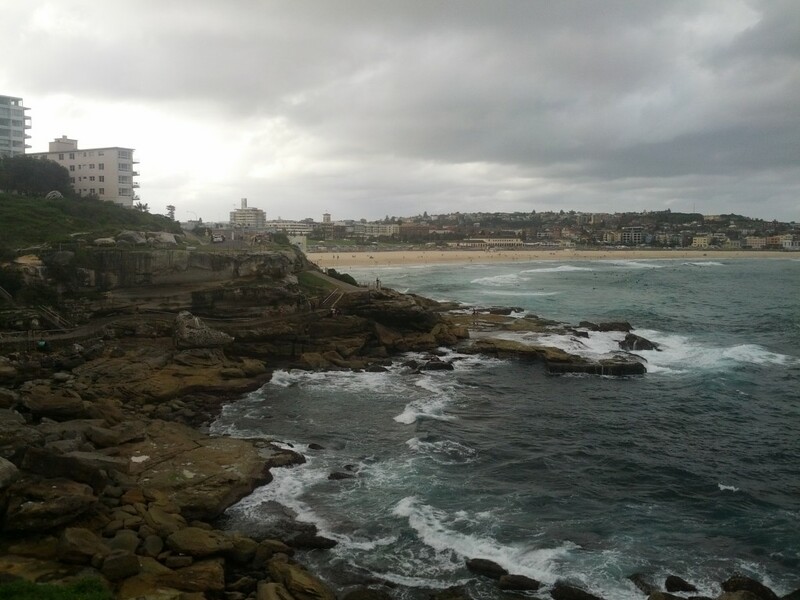 This entry was posted in Uncategorized and tagged bondi, coogee, outdoors, sydney, travel, walks. Bookmark the permalink.